Removal ProcedureRaise and support the vehicle. Refer toLifting and Jacking the Vehicle.Place a drain pan under the oil pan drain plug.Remove the oil pan drain plug. Allow the oil to draincompletely. Install the oil pan drain plug and tighten to25-Y(18-lb-ft). Lubricate the NEW oil filter gasket with clean engineoil.Tighten the oil filter-(1) to25-Y(18-lb-ft).Lower the vehicle.Refill the engine oil. 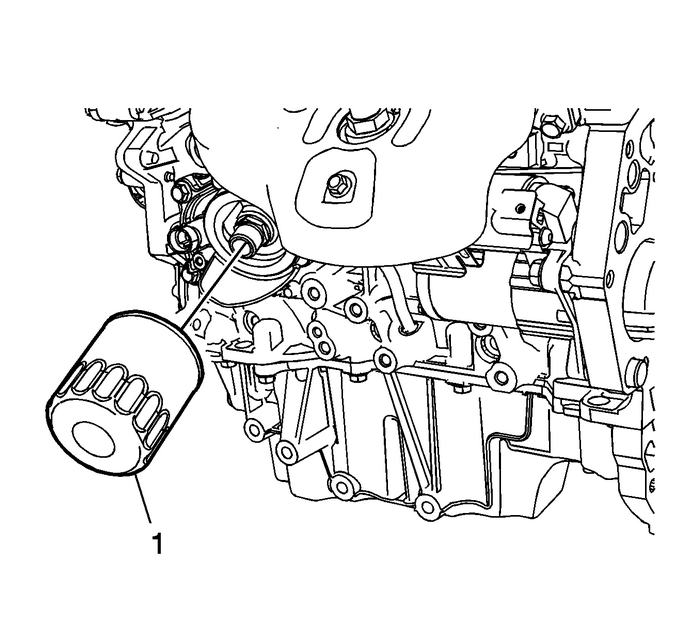 Refer toApproximate Fluid Capacities.Start the engine and inspect for leaks.